Hello everyone, back again on this occasion I will invite you to discuss a blockchain-based ICO project. Maybe this could be a consideration for you to find a suitable ICO project for you to invest your funds. You are certainly no stranger to the term global warming which has been socialized by various governments and agencies in various countries since the last few decades. As we know that global warming arises due to carbon emissions where more than 30% of total carbon emissions are created by existing buildings from the past until now. This is the biggest challenge for humanity to be able to survive while being a spectacular business opportunity for those of you who are able to read it. Simply put, even though the building that we occupy produces carbon emissions, we also need the building because it is one of the primary needs of human life, namely a place to live. The energy consumed by this building is the main cause of all this flow. When all buildings can reduce energy consumption this will have a great effect, both for global warming, business, and operations. imagine, there are 6.5 trillion global asset values ​​that are a business opportunity in this field. A fantastic number and worth considering in my opinion. The discussion this time is more or less dwelling on the above. Bluenote, is the name of the company that we will discuss with service products sharing data on the efficiency of energy use in buildings. Why is that? because this is the biggest problem, in the midst of tight business competition, of course vendors are reluctant to share data about strategies that make building a little in terms of energy use. 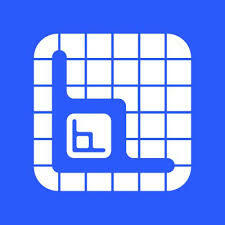 Through the Bluenote protocol, there will be an open and confidential data sharing network for various things such as data services, data sharing, and energy-efficient building analysis. Also included, this Bluenote protocol will be very easy to integrate with new applications and energy technologies used throughout buildings in the world. This is the first and foremost point that I got from the explanation of their whitepaper. Speaking blockchain based and decentralized, of course there will be tokens created that will later become a payment tool when using a platform. Well this time the Bluenote also issued their own token based on blockchain Ethereum (ERC20) infrastructure with the name BNOW token. There is an explanation that this Bluenote Protocol offers a different and new business than other companies in the same industry, namely energy. They offer the technology of efficient use of energy while others only reduce energy trade. Furthermore, all data entered on the Bluenote protocol, you can access by paying only a number of BNOW for your building needs, both those that have been built and those you are just about to build.